I remember more than a year ago that they were going to announce something about this the next day, a somewhat exaggerated delay, but that good in the end resulted in an adaptation to the anime, and well deserved, to be able to clean the reputation of the isekai. 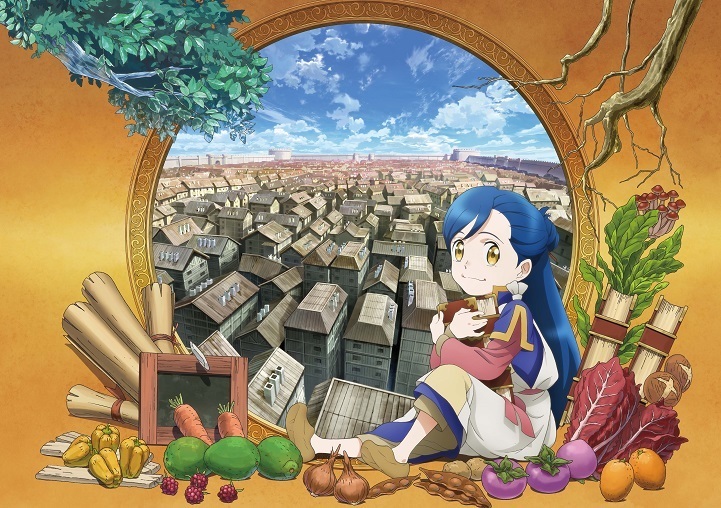 I hope that in the end can stand out for the content in itself rather than the technical as it is very good, I doubt that they can ruin it unlike other isekai's where the source material was already bad so the adaptation could not do much. I like this! I have a good feeling this will be refreshing and bit different! Ascendance of a Book Fetishist got an adaptation, huh? What's the world coming to. Since it's already reaching 17novels, this is surely a vain storyless series. But it's about books so... guess I will watch the 1st episode. Read this a few years ago, but now I see that not many people like the protagonist ? Best japanese fantasy novel currently being published that I know off is getting an adaptation, huh. That's cool, however TO Books is a small publisher, that may not have the money to make anything good out of it. The fact that they waited so long to adapt it kind of tells you already that there's some problems to find enough sponsors to do it properly ImO. The art is kind of off already in the trailer, that's too bad. Also, that last scene is second arc, which if it's not just a cameo for the fans in the trailer, would mean adapting 7 volumes. If it's one cour, this could be pretty bad. But oh well, it's cool. As long as the seiyuu do a proper job voicing, I should be able to enjoy that adaptation to the fullest. May not be the case of peoples not reading the novels though, we'll have to see. I'll keep my hope up despite those doubts. Honzuki is an amazing fantasy novel full of amazing characters and very enjoyable banters. If the seiyuu do a good job with the voicing, the quality from the original material combined with Seiyuu's work could be more than enough to carry the adaptation regardless of anything else. Protagonist is a she, not a he. Also, you probably didn't understand the person you quoted. After two announcements in the past two years this gets finally animated, even though the staff is pretty underwhelming, and the visual is odd at the very least. I really hope this turns out to be good. To be honest the staff looks kinda okay. Though the visuals look kinda underwhelming and even as it's own merit. But I hope content wise it's executed well or can at least be enjoyable. Ah, I remember its novel always in top sales. Also it's on my ptr list for so long. Looking forward to it. The MC is fairly smart, spoils the peoples she loves, is more selfless than most character in this story (while still being a full fledged human being with her selfish moment), and very likable. So either you're smoking something bad for your health, or your reading comprehension is low, or you're unable to keep reading something long enough to properly apprehend the direction it's going.